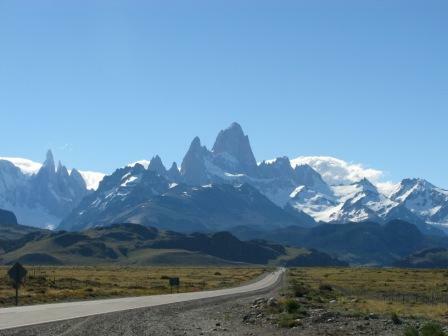 The Fitzroy Mountains are dramatic peaks located at the northern end of Los Glaciares National Park. From a base in the frontier town of El Chalten, there are excellent trekking trails around the mountains, in particular to the base camps of Cerro Fitz Roy (3441m) and Cerro Torre (3102m). From the base camps, the views of these peaks, which attract international climbers, are spectacular and often shrouded in cloud. Laguna de los Tres is also an excellent destination, where the three main peaks of the range are reflected in the waters of the glacial lake. El Chalten is also a good base to explore the nearby glaciers, in particular the Viedma Glacier reached by a boat trip across Lake Viedma. Here you can don crampons for a trek across the surreal ice-scapes of the glacier and for the adventurous, grab a couple of ice-picks and attempt to climb a sheer wall of ice on the glacier. Join us on a hiking trip to Patagonia, walking through the glaciers and peaks of the stunning mountain areas of Fitzroy and Torres del Paine. Trek through the lake region below the impressive Mount Fitzroy, and hike the famous 'W Circuit' from Lago Grey to Las Torres for views of the iconic Paine Towers. En route we explore Perito Moreno Glacier and discover the fascinating city of Buenos Aires. Southern Patagonia presents a veritable wilderness of huge glaciers and awe-inspiring granite peaks, the most famous of which are the Torres del Paine and Cerro Fitz Roy. Our popular itinerary accesses all of the best viewpoints, without the need for sustained multi-day trekking or backpacking. Throughout the trip, we make use of comfortable fixed camps with excellent facilities, including hot showers. We begin our adventure with a 6-day exploration of the Paine region, including excursions to Lago Grey and Lago Pehoe and day-walks up to the base of the majestic rock towers. Transferring to Argentina's Los Glaciares National Park, we stop-off at the unmissable and extremely impressive Perito Moreno Glacier. 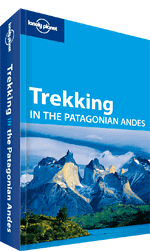 Then, 3 days of trekking will enable us to seek out the best views of Cerro Fitz Roy and Cerro Torre. This is your chance to experience one of the wildest and most spectacular corners of the world.